TONIGHT’S BOOK LAUNCH! | Carol Sheldon writes books exploring times-past through mystery, love, betrayal and murder. 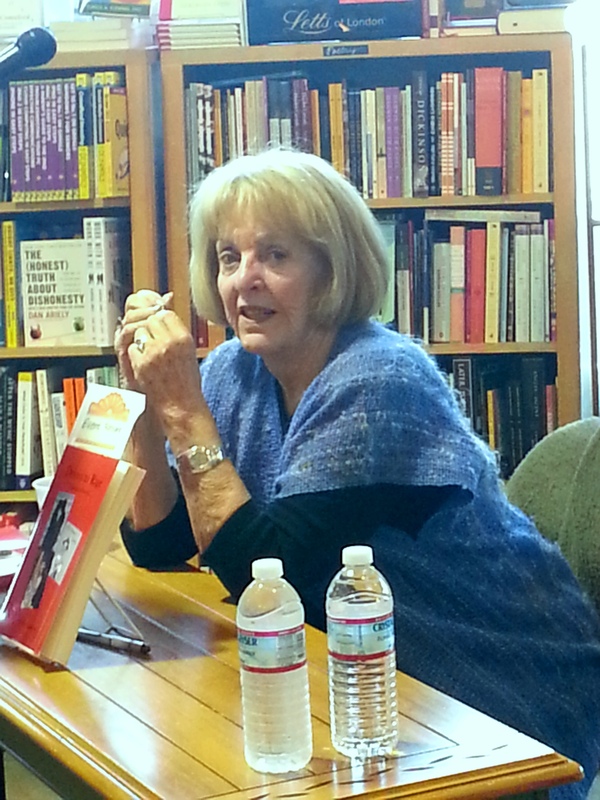 My book launch for A SLEUTH IN SAUSALITO was tonight at Book Passage. What a high! It’s always a remarkable, affirming experience to actually speak to a live audience. It can go to your head, when you think about the fact that famous writers and politicians like Elizabeth George and Bill Clinton have sat on that same platform. About half of those present bought the book. I received lots of support from folks I knew and those I didn’t. Many other writers I know were there from the various writer organizations I belong to, and many from Sausalito. I expect to have other readings in the near future. The event was recorded, so hopefully I’ll be able to put some video on YouTube and this web site soon. I’d like to thank the best book store in the Bay Area, Book Passage, the Left Coast Writers who provided the launch, and those who served me well tonight. They are Teresa LeYung Ryan for interviewing me, (a wonderful writing coach) Roberta Maloy for recording the event and Wanda Henson for setting up refreshments, and of course, those who attended and those who purchased a book. You may A SLEUTH IN SAUSALITO from Amazon, Book Passage, or contact me directly at casheld@gmail.com. 1 Response to TONIGHT’S BOOK LAUNCH! So happy it was a success! Saw the pictures Teresa took on Facebook. Write on.